T.O.N.T.O. 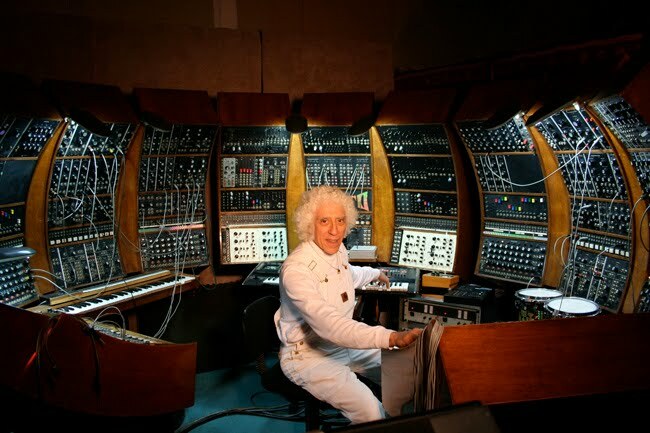 (The Original New Timbral Orchestra) was the world's first multitimbral polyphonic analog synthesizer, and was designed and built by Malcolm Cecil and Robert Margouleff, a pair of Grammy winning musicians/engineers/producers/sound designers. It's a Series III Moog modular synthesizer, which Cecil expanded with modules from Moog, Arp, Oberheim, and others. It was used by Stevie Wonder on several albums, and is also heard on records by Quincy Jones, Bobby Womack, The Isley Brothers, Gil Scott-Heron and Weather Report, Steven Stills, The Doobie Brothers, Dave Mason, Little Feat, and Joan Baez. Above all, T.O.N.T.O. 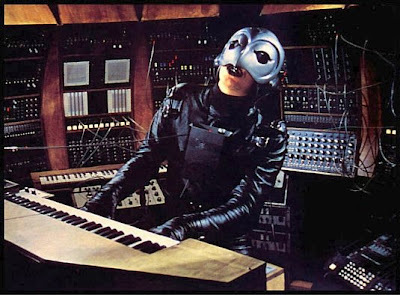 appears in Brian de Palma's 1974 masterpiece Phantom of the paradise, sad theatre of Winslow Leach's robotic despair. "Once upon a time, Tonto represented the cutting edge of artificial intelligence in the world of music - Robert and Malcolm are the mad chefs of aural cuisine with beefy tones and cheesy timbres, making brain chili for those brave enough and hungry enough. Consequently, back in the cultural wasteland of the Midwest, the release of Tonto's Expanding Head Band was an inspirational indicator for starving Spudboys who had grown tired of the soup du jour. It was official - noise was now Muzak, and Muzak was now noise. So with Tonto "riding again" and the orb-of-sound resurrected, expect a healing. The masses are asses who need Tonto's glasses. Lookout, here comes Tonto!"